Senior Allison Osmundson netted the game-winning goal at the 61:38 minute mark in the second-half to give Missouri State their second win on the weekend. The Bears improved their record to 5-3-1 on the season. Tara Bailes (Catholic 2008) came on as a substitute. The Panthers wasted little time getting on the board, with Nicole Williams getting a goal off a Mandi Little assist at the 4:41 mark. The Panthers pulled out of a halftime tie with two second-half goals to beat Bellarmine 3-1 in Great Lakes Valley Conference action. The Panthers are now 4-2-1 overall and a league-leading 4-0 in GLVC play. Receiving another two goals from junior Steve Wilczewski, the Drury men’s soccer Panthers blanked Bellarmine4-0 in Great Lakes Valley Conference action Sunday. Wilczewski (Glendale 2006) scored his league-leading seventh and eighth goals to help the Panthers move to 6-0 overall and 4-0 in the GLVC. 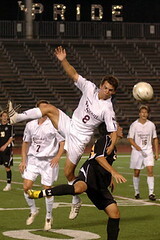 Adam Peterson (Kickapoo 2007) also added a goal and an assist. Kyler Temple (Kickapoo 2008), Alex Palmer (Kickapoo 2007) and Danny Collins (Glendale 2007) also played. In a tough-fought match, SBU’s lone goal came in the 32nd minute of the first half. Nicola Cousins was the scorer, putting her at 6 goals for the season. She was supplied by sophomore, Jaymye Ross. Ross now has 4 assists for the season. Johanna Olsson kept her third clean sheet of the year, making 7 saves. SBU now sits at 4-0 on the season and 3-0 in the MIAA. Steven Beattie broke a one-all tie with a goal 14 minutes into the second half and the Norse, ranked No. 1 in the NSCAA Division II poll, added a second goal later in the period to come away with their 29th straight regular season win since the Miners won at NKU in 2006. Hays (Kickapoo 2008) and Moore (Rolla 2005) started. Tied at 1-1 going into the break the Lady Miners gave up five goals in the second half to fall at Northern Kentucky 6-1 on Sunday afternoon in Wilder, Ky. Rachel Moore (Rolla 2006) started. With the match knotted at 1-1, the No. 5-ranked Nebraska-Omaha Mavericks scored three unanswered goals to defeat the Missouri Southern Lions 4-1 Saturday afternoon at Omaha, Neb. Freshman Randi Russell (Joplin 2008) made a career-high nine saves for the Lions while earning her second straight start. McKenzie (Webb City 2008) started, with Altman (Joplin 2008) and Ragains (Lebanon 2008) coming on as substitutes. The Lions (0-7-1, 0-2-1 SSC) stayed close throughout the match despite being out-shot 17-5 overall, including a 14-3 bulge in the second half. The #14 Buffs held an 8-2 edge in shots-on-goal. Freshman Stuart Ziegler (West Plains 2008) had a team-high two shots for the Lions. Clevenger (College Heights 2006) started and Nate Evans (Cassville 2007) came on as a sub. Coester’s is a family friendly, non-smoking restaurant located just West of the Missouri State campus. With Sentanta, Fox Soccer Channel, Gol and Direct Kick, you can enjoy the world’s game on one of the 22 high definition monitors that cover every wall. Be certain to let them know you appreciate their sponsorship of this website, and the game of soccer! The Bears opened strong Friday evening, coming off of their Tournament win at New Mexico last week. Attacking with verve, they wasted no time exploiting the first opportunity to present itself. Kyle Windmueller, the man the MSU Standard calls the “go-to guy” did just that, beating his defender on the left side. His run into the box created space that midfielder Ryan Hennessey filled, receiving the square ball near the spot before slotting his shot just inside the far post in the 11th minute. The Bears kept up the attack, earning a 6-3 advantage in shots in the half. The second half provided a mirror image of the first, with the Crusaders creating more opportunities, and beating the Bears with a goal in the 87th minute. It was scored by senior Paul Leitelt from 20 yards out as he found space of his own to hammer a shot to the far side netting. It might have been worse but the Bears were fortunate that Brandon Durk was prepared in the 75th minute, as he intercepted a crossing pass at the far post that he knocked down and goal keeper Alex Riggs quickly collected. Two overtime periods with one near miss for the Bears as a set piece skipped just beyond Thomas Vania’s reach in the six yard box. Tonight marked the return of Springfield Demize player Isreal Bisoni (pictured, underneath MSU’s Justin Alford) who joined the Crusaders from Coffeyville CC, along with his teammate Rodolfo Lucas. Bisoni came on midway through the 1st half and played the majority of the game this evening at forward. The Missouri State women’s soccer team dominated Nicholls State in a 7-0 shutout victory on Friday night in the first match of the Razorback Invitational in Fayetteville, AR. Tara Bailes (Catholic 2008) came on as a substitute while scoring 1 goal and providing an assist as well. Drury broke open a tight contest with three second-half goals and cruised to a 4-0 victory over Kentucky Wesleyan in a Great Lakes Valley Conference match Friday. Katy McLain (Kickapoo 2008) came on as a substitute in the game for the Lady Panthers. The Drury University soccer Panthers kept their unbeaten start intact, defeating Kentucky Wesleyan 5-1 in a Great Lakes Valley Conference match Friday afternoon. The Panthers, now 5-0 overall and 3-0 in the GLVC, received two goals from senior forward Marco Cherisma – pushing his season total to five – and single goals from juniors Steve Wilczewski (Glendale 2006) and Andrew Bordelon and sophomore Micah Whorton. Kyler Temple (Kickapoo 2008), Adam Peterson (Kickapoo 2007), Alex Palmer (Kickapoo 2007) and Danny Collins (Glendale 2007) all came on as substitutes in the game. Wilczewski, Drury’s leading scorer, was also interviewed by the Drury Mirror recently. Key take away? Q: What is the better rivalry; Yankee’s/ Redsox’s or Glendale/Kickapoo? A: I would have to say Glendale/Kickapoo, even though it’s a Glendale dominated rivalry. The game finished in a 0-0, scoreless tie that was halted in the 80th minute due to darkness. Nate Evans (Cassville 2007) joined Stuart Ziegler (West Plains 2008) and Jesse Clevenger (College Heights 2006) in the starting lineup. Amanda Deml scored the only goal of the match on a free kick from 20 yards out to lead the Northwest Missouri State Bearcats to a 1-0 win over the Missouri Southern Lions in MIAA action Thursday afternoon. 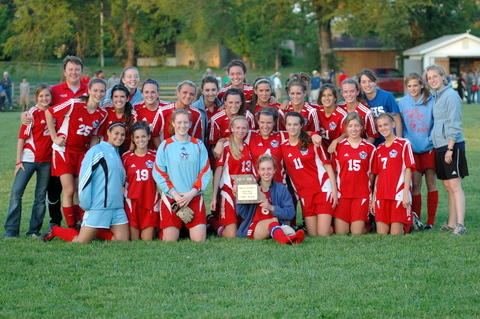 Joplin Eagle 2008 graduates Randi Russell and Lindsay Altman both got their first starts of the season, with Brianna McKenzie (Webb City 2008) and Brianna Ragains (Lebanon 2008) coming on as substitutes. Rusell went the entire 90 minutes, with 2 saves. After falling behind by two goals at the half, the Miners came back after the break and claimed a 2-2 tie against their GLVC opponent. Andy Held scored with 46 seconds to play in regulation time to send the game into overtime. Zack Hay (Kickapoo 2008) and Brandon Moore (Rolla 2005) both started. The Miner’s gave up a pair of goals in the first half before mounting a comeback attempt in the second half. The Miners had 12 shots, 4 on goal, compared to Bellarmine five shots in the second frame. Theresa Sanches scored the tie-breaking goal on a penalty kick in the 57th minute to propel the Texas Woman’s Pioneers to the win. The score came just seven minutes after the Lions (2-1) evened the match on a Sarah Evers goal from 10 yards out. Brianna McKenzie (Webb City) earned her 1st start of the season while Lindsay Altman (Joplin) and Brianna Ragains (Lebanon) also saw playing time. Missouri Southern host MIAA foe, the Central Missouri Mules, on Thursday at 7:00 pm at home. Head coach Trevor Wachsman is two wins shy of reaching 50 for his career (48-35-18 in his sixth season). It would be a nice weekend if they could get wins against the Mules and SBU who visit Saturday. The Missouri Southern Lion’s men’s squad lost a pair of games this weekend. On Friday, Colorado State – Pueblo beat them 3-1, taking a 2-0 lead before the Lion’s Greg Edmonds scored from an assist by Stuart Ziegler (West Plains). Today’s game against Colorado-Colorado Springs saw the Mountain Lions score just four minutes into the match, adding another tally in the 71st minute for the victory. 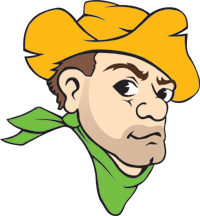 The Prairie Stars were outshot by the Miners 26-9 in the game and had only five shots on goal to the Miners’ 11. However, UIS turned two counterattack plays into goals in the first half and rode the play of NAIA All-American goalkeeper Chance Walker to keep S&T at bay as it tried to rally in the second half. The Miner’s goal was scored by Brandon Moore (Rolla) in the 58th minute, he was joined by Zack Hay (Kickapoo) in the starting lineup. The Lady Miners soccer squad picked up a 2-1 overtime win at Emporia State on Sunday afternoon on Melissa Young’s goal 2:48 into overtime. Young headed a shot inside the right post off a feed from Paige Smothers. The Miner’s win finished ESU’s first ever 2-0 start to season. On Friday, the Miners lost to Christian Brothers 0-1, the lone goal coming in the 55th minute from a crowd in front of the box. Zack Hay (Kickapoo) once again got the start in the game for S&T. Drury University’s men’s soccer Panthers spotted Harding an early goal, then rolled to a 5-1 victory over the Bison here on Sunday afternoon. Steve Wilczewski (Glendale) scored two goals, Adam Peterson (Kickapoo) added one along with an assist and Danny Collins (Glendale) assisted on a goal as well. Kyler Temple (Kickapoo) and Alex Palmer (Kickapoo) also saw playing time in a game that also welcomed back Tyson Bramley from injury and Ben Taylor who picked up two assists. The Lady Panthers fall, after giving up 3 goals in just over 4 minutes. The game winner for the Bison came in the 88th minute, pushing the Panthers to 0-2-1 this season. It is the first win for the Bison, who lost 5-4 in OT to the MSSU Lions, last week. Goals were scored by Mandi Little and Nicole Williams, both in the 2nd half. The Southwest Baptist Bearcats had the weekend off, after seeing their game at Rolla cancelled at halftime. They at Emporia State (KS) Thursday evening and at Missouri Southern Saturday afternoon at noon as they open MIAA play.